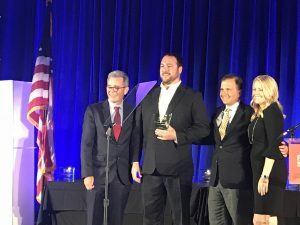 (WASHINGTON, D.C./ SEPT. 5, 2018) – The International Franchise Association (IFA) the oldest and largest organization representing franchising worldwide, recognized Blair Motl, a Payroll Vault franchise owner in East Dundee, IL one of its 2018 Franchisees of the Year. 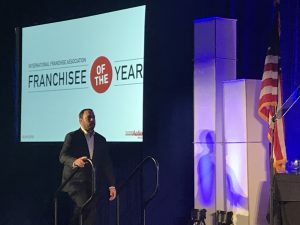 Blair was recognized September 5th at IFA’s Franchise Action Network Annual Meeting in Washington, D.C., which brings together more than 400 franchise business leaders to raise awareness with policymakers on the industry’s continued successes and economic contributions. Blair grew his firm by 76% last year which clearly shows that he is a champion of efficiency and best practices. This Illinois franchise office employs 3 employees and is rapidly expanding and grossing upwards of $250K to the state’s GDP. Payroll Vault’s company mission began in 2008, focused on re-defining payroll services and solutions, complemented with unparalleled customer service. Payroll Vault offers boutique style payroll service for small businesses and provides a real-time solution for clients. In 2012, Payroll Vault launched its first franchise. Through providing entrepreneurs the opportunity to start-up their own full-service payroll business with the support of our team of experts with decades of experience, Payroll Vault Franchising is recognized as a national leader in the industry with numerous offices across the United States, and expanding.